A sliding barn door is stunningly functional in endless applications. It's the ultimate space saver, especially in small rooms where swinging doors take up valuable space. In fact, as we noted here, designers of spaces from offices to restaurants are using rolling barn doors for their beauty and practical function alike. 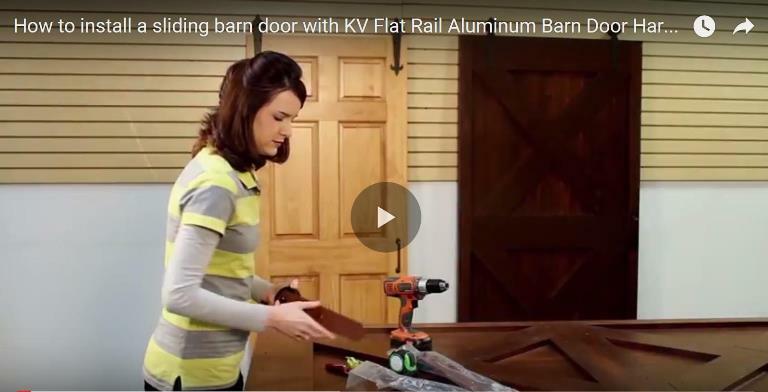 In this step-by-step video tutorial, we'll show you how to install a sliding barn door using our most popular barn door hardware—alumnium flat rail (FR-ST3-06).